(Exodus 33:1-4) Then the Lord said to Moses, “Depart and go up from here, you and the people whom you have brought out of the land of Egypt, to the land of which I swore to Abraham, Isaac, and Jacob, saying, ‘To your descendants I will give it.’ And I will send My Angel before you, and I will drive out the Canaanite and the Amorite and the Hittite and the Perizzite and the Hivite and the Jebusite. Go up to a land flowing with milk and honey; for I will not go up in your midst, lest I consume you on the way, for you are a stiff-necked people.” And when the people heard this bad news, they mourned, and no one put on his ornaments. Exodus 33 happens some time after Moses received the law of God (Exodus 31-32), Where Israel’s pursues the golden calf perversion, when Moses carries out the death sentence on those choosing further rebellion and where Moses disciplines those who were initially led astray. These events help us understand the dialogue between Moses and God in Exodus 33 (Israel being termed “stiff-necked”), which is a chapter revealing five lessons concerning the man of God and God’s Presence. In reading the Old Testament we can easily see Moses had been blessed more personal revelation of God, than most others. Exodus 33:11 records how intimate this revelation of the LORD God to this man of God was; “So the Lord spoke with Moses face to face, as a man speaks to His friend”. Moses had truly found grace in the sight of the Lord. Yet even with these many holy encounters, Moses wanted God to be present with Him all the time. 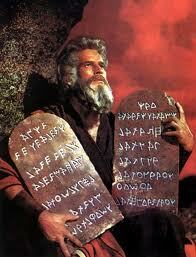 Contrary to His desire God told Moses He would not go into Canaan with the Israelite’s. This meant God would no longer lead them by day, with the Pillar of Cloud, nor by night with the Pillar of Fire. These manifestations of God’s Presence are known as the Shekinah glory. Although The LORD declared He would not be Present with them, with good reason (being stiff-necked His holiness would consume them), God would not leave them without help. He would send “My Angel” before His people to drive out the Canaanites. This was no small promise. Without getting into a drawn out discussion, we must understand who “My Angel” refers to in out text. Most agree this name is a reference to theophany, or a visible manifestation of God in a bodily form. So this was no mere created angel, but God Himself. We see this Person of God make appearances through the O.T., as God walking in the Garden of Eden (Genesis 3:8), as appearing to Hagar as the Angel of the LORD (Genesis 16:7), as appearing to Abraham (Genesis 18), appearing to Moses who sees His hinder parts (Exodus 33:22-23), as the Captain of the LORD’s host (Joshua 5:32), and as the Angel of the LORD (Judges 6:11, Judges 13:1-24). Yet one of the OT appearances not mentioned gives more insight into Who this Person is. The appearance we will discuss is that of Melchizedek the king of Salem (later Jerusalem), who is called the priest of the God Most High. (Hebrews 7:1-3) For this Melchizedek, king of Salem, priest of the Most High God, who met Abraham returning from the slaughter of the kings and blessed him, to whom also Abraham gave a tenth part of all, first being translated “king of righteousness,” and then also king of Salem, meaning “king of peace,” without father, without mother, without genealogy, having neither beginning of days nor end of life, but made like the Son of God, remains a priest continually. This Melchizedek, is none other than the Word of God manifest in human form; Jesus Christ before His incarnation by the Holy Spirit in the womb of the Mary. The scriptures make clear that Christ Jesus is this King and High Priest in the remaining portion of Hebrews 7 and through Hebrews 8, 9 and most of 10. Moses is declaring, I do not want to go anywhere, or do anything unless You are with me, in a relationship where I can experience Your Person, in a manner that I can know You (be intertwined with you in relationship). To say it another way, I don’t want to minister, unless You are with me, empowering every word action and thought. Moses realized, God’s Presence was absolutely essential to knowing God personally, as much as it was necessary for His efforts to be anointed and effective. Sadly, Moses disposition and the His desire arising from it, are sadly lacking in much of our ministry today. We are content to talk of the Presence and anointing of God’s Spirit, without really experiencing Him. This has become our default position (in general in the American Church), because we set little time aside to develop a relationship based on “knowing” Christ. We allow time for knowing about Him and information on doing ministry, which comes through academic pursuit, but have no time to develop an awareness of His Divine Presence with and filling us. Why do we have so little time? Like Moses we have demanding people and issues needing attention, but unlike Moses we seek to fix the problem and put out the fire, with on hand knowledge. Where Moses would run to God, for His guidance, protection, provision and instruction, while waiting in God’s Presence, we dip our hand into diminishing well of information; praying afterward that it will work. This is the difference between having a fountain of Living waters, as opposed to a rapidly used and evaporating cistern (Jeremiah 2:13). Oh for the day when men of God are stuck in the pursuit of knowing Christ and the power of His Presence, through the ministry of the Word and Prayer. Moses life shows us that men of God would rather die than minister or move without God’s presence. (Exodus 33:14-16) And He said, “My Presence will go with you, and I will give you rest.”Then he said to Him, “If Your Presence does not go with us, do not bring us up from here. For how then will it be known that Your people and I have found grace in Your sight, except You go with us? Wow! God really did favor Moses, but this favor was not enough for Moses, as we he responds with “If Your Presence does not go with us, do no bring us up from here”. This is a remarkable conclusion for Moses to arrive at, but it truly reveals the heart of the servant of God. Those chosen by God, knowing they are the foolish, the weak, and the base of the world, desire for all those who are in their sphere of influence to know God as they do. This is the primary burden for evangelism from a biblical perspective. We have tweaked and poked and cajoled folks in evangelizing people with varying motives: To save the lost from hell, to bless them to know forgiveness, to restore the image of God, because we are commanded to. All the above reasons are true good and true, but they are merely products of people being redeemed. Redemption, which was in the mind of God before the foundation of the world, is to restore the relationship He has to humanity, having been damaged by sin. This is so we would know His love and know His awesome glorious Presence with us. Like Moses, we should have a desire for others to know the God we have come to know as Mighty God, Counselor, Prince of Peace, Everlasting Father; Abba with us. For men of God it is not enough for them to know God in all His wonderful Glory, others must as well. Yeah, before we can effect others with this knowledge of God we must first dive deeper ourselves. Review, for yourself, Paul’s heart desire in Philippians 3:10. Is this your desire, as his child, through the blood of Jesus Christ? This understanding reiterates the earlier point about knowing God and having His anointing. We cannot impact others, unless we minster in His power, as He is present with us. This transcends the Spirit of God being resident with us at Salvation. We need to be immersed in God’s greatness and filled with His fullness (Ephesians 3:14-20; 5:18). If not, we merely try to convince people of truths we are not fully experiencing ourselves. The man of God would rather wait on on the sideline, than attempt to minister the reveal God, seen in the Person of Jesus Christ, in their own strength. We need His sufficiency (II Corinthians 3:5-6). When is the last time you encountered Christ, in the fullness of His Presence, as you intimately commune with Him? Moses spoke with God face to face, as a man speaks to his friend. We are to converse and encounter God as our intimate and present Abba (Romans 8:14-17). Next time we will explore three more Lessons from a man of God in “Glory, Glory, Glory, Glory, Glory (Five lessons from a man of God #2). This entry was posted in Exodus 33, God's Power, God's Presence, God's Word, God's Word. Holy Spirit, Moses, Moses the man of God, Uncategorized. Bookmark the permalink. Great word! Thank you for the insight. Blessings.